It’s more than common sense that requires landlords to screen incoming tenants. Landlords owe a duty to others to run tenant background checks. An increasing number of cities have passed ordinances specifically requiring landlords to check a tenant’s criminal history. Likewise, courts may find that a landlord’s failure to screen tenants and employees is negligence, and the landlord could be liable for any injuries or damages an unscreened tenant or worker causes should they turn out to be dangerous. Effective tenant screening depends upon accurate information. 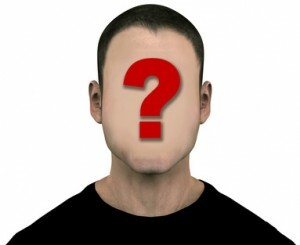 The landlord has a responsibility to verify the applicant’s identity so as not to perpetuate identity theft. Personal identifying information such as full legal name, birthdate and SSN (optional but helpful) is necessary to match a credit report to the correct applicant. Ask each applicant for a photo ID and check the picture for a match. Unless prohibited by local law, take a copy of the ID to preserve the address, birthdate if noted, and other identifying information. A written rental application process is key to avoiding problem tenants. It is a landlord’s responsibility to provide applicants with a rental application, and to make sure that the application is fully completed. A separate application must be completed by each proposed adult occupant whom you want to obtain a tenant credit check for as each rental application contains the consent clause for that individual. The information provided in the rental application is needed to complete a tenant background check. Without this information, the landlord has no way of cross-checking data provided by the tenant to that provided in the tenant screening reports, which will make it significantly more difficult to catch a high risk tenant. Capture the full name, DOB, SSN, current and previous addresses and names of current and previous landlords. High risk tenants neglect to provide all information or may provide false information. For this reason a rental application should be completed in its entirety. In addition to the rental and credit history provided, the rental application contains a declaration that must be signed by the tenant. That declaration provides permission to conduct a tenant background check. It also contains a statement that the information provided is true and complete. In many cases, the penalty for lying on the application includes the landlord’s right to evict, and may subject the tenant to a fraud charge. Obtaining that sworn statement is an important step in the tenant screening process, so much so that it is a wise practice to point it out to the applicant before he or she completes the application. 1. The applicant has been completed in its entirety. 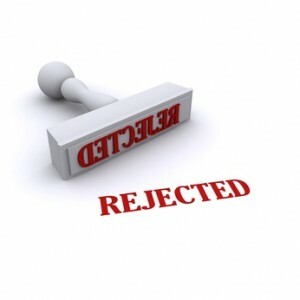 An incomplete application is a red flag and may be grounds to reject the applicant; particularly where information was withheld or provided inaccurately. 2. The applicant is not qualified even if assuming the information on the application is true. If the applicant appears qualified, then all information, including income and references, should then be verified. If the applicant has failed to complete the rental application in its entirety, find out why. REVIEWING THE RENTAL APPLICATION WITH THE PROSPECTIVE TENANT may give you some insight into the character of the individual. For instance, is the person obviously withholding information, providing false information, or hiding behind illegible writing that may cause problems obtaining credit/criminal/eviction background reports? This practice may save you time and effort and eliminate the need to obtain consumer reports. Do you want to rent to someone who was not truthful on the rental application or didn’t obey your instructions? Access to an individual tenant’s credit report is limited. Fortunately, the Fair Credit Reporting Act allow for companies like TVS Tenant Verification Service to provide landlords with a rental applicant’s consumer information, provided that written consent was given. The credit report is matched to the applicant based on identifying information. Important: The best practice is to run a credit report only on an applicant who appears to be qualified and is under serious consideration. You should not abuse this process. 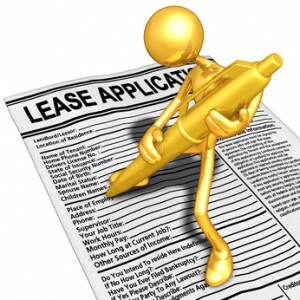 The landlord typically must show that the tenant has given permission to run the credit check. That permission is contained in the declaration portion on the rental application. It is now possible for the tenant to request that the credit report be submitted directly to the landlord. In that case, the landlord still should ask the applicant to sign the declaration in the rental application because that language provides vital protections for the landlord. The credit report will flag missteps in the tenant’s credit history, which may include chronic late payments, judgments including past due rent which is reported by collection agencies, prior bankruptcy or too much outstanding credit. This information is helpful in evaluating whether the applicant is someone who has been able to manage his or her financial responsibilities. Individuals who have late bill or loan payments are a high risk for late rent payments and more likely to default on the lease agreement than those who pay on time. The credit report can reveal facts about the applicant that he or she has hidden on the rental application. The most common red flag is an address that appears on the credit report, but not on the rental application. The applicant could be hiding a prior eviction, late rent payments, or some other dispute with a previous landlord. The credit report serves as a road map — a guide to what further due diligence the landlord must complete when screening this tenant. Typically, the landlord will consider any bad marks on the report and use the report to confirm information provided by the applicant. There are many examples of local landlord tenant laws that restrict how the information can be used without illegally discriminating against the tenant. For example, a policy that requires a tenant to have a job or to be employed for a set number of months or years may violate protections for tenants on government assistance. A more nuanced legal issue is housing discrimination based on credit scores. The theory of “disparate impact’ provides that a seemingly innocuous policy, such as requiring a threshold credit score, can be discriminatory if it impacts one class, for instance, minorities or women, more than others. Important: Further due diligence should be conducted on each applicant regardless of poor credit history. Individuals have a poor credit rating for a variety of reasons. Some are good tenants who make their rent payments on time. This should be determined and taken into account when considering tenancy. In the absence of any local laws to the contrary, a landlord can reject an applicant when a credit report reveals negative information. In that case, the landlord has a responsibility to inform the applicant of this decision. This is known as an adverse action notice. The adverse action notice must advise the applicant of the decision to reject, including contact information on the credit reporting agency that supplied this information. The notice will let the applicant know he or she can obtain a copy of the report. If the decision was made on a credit score, those details also must be disclosed. The notice rule allows the applicant the opportunity to contact the credit reporting agency and clear up any mistaken entries on the report, or to take steps to rehabilitate his or her credit. The adverse action notice is required whenever the decision is based in full or in part on consumer reports, and applies even if the tenant is accepted, but with conditions, like an increased security deposit or co-signor. Rejecting tenants for a lack of credit can be a problem for landlords in some areas. For example, in California, landlords cannot discriminate against immigrants who may not have a Social Security number or a standard driver’s license, key identifying factors when requesting a credit report. The absence of a credit or the inability to locate a credit report may not be a defense for rejecting applicants in all cases. Where the applicant lacks a SSN or driver’s license, it is especially important that all other identifying information is accurate. Was rent paid on time? Would the landlord rent to the individual again? Did the tenant meet all lease obligations? From when to when did tenant rent and how many bedrooms? By doing this you will have established the tenant-worthiness of your prospect and quite possibly reject the application based on the fact that he or she does not meet your criteria. In that case, an adverse action notice is not required because you are not rejecting based on a consumer report. Base their criteria only on consumer reports obtained. This is not fair to the applicant and it doesn’t incorporate best practices for a tenant background check for landlords. High risk tenants who don’t pay rent on time can still slip through the cracks, as the consumer reports don’t tell you everything that you need to know about a low risk tenant. Because information contained in tenant screening reports is sensitive, a landlord has a responsibility to prevent unauthorized disclosure. Hard copies must be physically protected using common sense policies. For instance, file cabinets containing tenant information should never be located in the leasing office if other tenants have access. Data received online must be password protected and computers must have security systems in place. Best practices should include shredding the report after the rental application has been approved or denied. You should keep the rental application for five years to protect you in the event of a dispute. Hello. I am writing a research paper on tenant screening. Could you please tell me examples of cities that require tenant criminal background screening? Your website says “An increasing number of cities have passed ordinances specifically requiring landlords to check a tenant’s criminal history,” but does not list any specific examples. I don’t have a comprehensive list, but I can say that many midwestern cities, including Dubuque have passed these ordinances, so that’s a good place to start. When one city passes the law, often the adjoining towns do so. I can suggest that you center your research around the terms “Crime Free” rental ordinances, or “Three Strikes” rental ordinances. If you are ambitious, pull up the city council meeting minutes and often a city will cite to ordinances passed in neighboring towns. In some towns, the local landlord association may have information. I can tell you that most of the ordinances that I have researched were modeled after the national Crime Free Multi Housing Program. That program is designed to be voluntary. Making it mandatory or adding language requiring the criminal check has angered some local landlords. There are two ways these laws can negatively affect tenant screening: When a criminal background check is required under the law, it’s typically a local check available from the police department. That won’t help in a situation where the applicant lived in another state, for instance, but a landlord may think the person is clear. Likewise, the criminal behavior may not have been reported or matched to the applicant (often, these reports are indexed only by names). However, these ordinances create the impression that a landlord only needs a criminal check, when in fact eviction reports and credit reports may show more. Also, want to mention that Oregon has gone the other direction and limited a landlord’s use of criminal background information. Hope that offers some help. Best of luck with your paper! 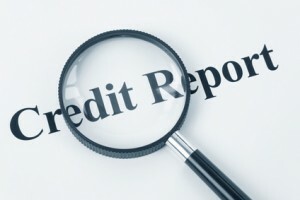 If a landlord or property management company finds misinformation (such as wrong name coming up under ssn) in a tenant’s credit report during the screening process, and notifies said tenant, are they obligated to tell the tenant the contact information for the credit reporting agency so the applicant can look into the issue, or do they only have to give that information after the application is denied? I have multiple applicants for one home. It is my only rental. I lived there before moving and plan on moving back in seven to 10 years. It is close to a medical school. I prefer renting to medical students, though not always. With multiple applicants I prefer to choose the one who is more likely to be there longer, if all other criteria are close to equal. For example: One applicant is an intern likely to be there for one year. Another applicant is employed by private industry, has family in the area and likely to be there indefinitely. Are there any laws that constrict my decision making process? I don’t want to get in trouble. I used the Internet and looked at sites and verified the person, friends and family. I verified the employment and identity, even of some of the relatives. I have seen horror stories about people who list friends as former landlords, etc. Thank you for your valuable information.